Blocks of rooms at special rates ($115/night) have been set aside at the Sheraton Salt Lake City for conference attendees. GBAC is happy to provide a wide variety of tours for 2018: five guided tours, three self-guided tours, and access to a mobile app (via Preservation Utah) that will link you into many more self-guided options. All of the tours were chosen for their accessibility to the conference venue and the ability to use public transportation. As many of you know, Salt Lake City suffers from adverse air quality, especially this time of the year. We strongly encourage you to walk, ride share, or use public transportation throughout the conference. GBAC has partnered with UTA to offer a transit pass at a very reduced fare: For $15 you can have full access to local buses, Trax light rail, Streetcar light rail, and Frontrunner commuter rail for the duration of the conference (Nov 7-10). If you are coming in from out of town or planning on attending the Ogden Union Station tour (standard roundtrip fare from SLC to Ogden is regularly $13.40) we strongly recommend purchasing a transit pass. The mining and railroad boom brought immigrants to Utah from around the world. With them they brought their well-established drinking habits. Rather than lose money to outsiders by importing beer, the first “buy local” movement was initiated by men with a knack for brewing beer. On this tour Preservation Utah tells the history of beer in Utah and takes you into three of Utah’s most well-known watering holes, with a Pub Crawl pint glass included with your registration! This tour is limited to those 21 years of age and older with valid ID. Food and beverage is not included. Food or beverage purchase not required to participate in tour. Come and explore the Ogden Union Station on a guided tour of all three museums plus an inside look at a US Postal Service Car and US Military Hospital Car. We will meet at the Frontrunner station in downtown Salt Lake City for a 2pm departure to Ogden, arriving in time to begin our tour at 3:30pm. After touring Union Station we’ll head over to Historic 25th Street for a guided tour of Ogden’s Downtown Historic District. Taking Frontrunner is not required to participate in the tour. Tour participants are responsible for their fare on Frontrunner. Have a tour guide in the palm of your hand! 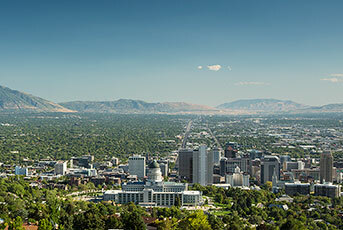 Utah HeritageWalks is your one-stop-shop for free tours of architecture, history and heritage in the State of Utah. These tours provide all the knowledge and information of a guided tour with the flexibility of moving at your own pace. Explore our great state with Utah HeritageWalks. Available tours include: Maywood Hills: The Designs of Cliff May in Olympus Cove, Modernism at the University of Utah – Campus Core, Modernisim at the University of Utah – Medical and Athletic Campuses, History Highlights of Murray’s Center District, Historic Signs of Sugar House, McPolin Farm Walking Tour, Centerville’s Original Town Site, Marmalade Neighborhood (East Marmalade Tour, West Marmalade Tour, Quince Street Tour), Let There Be Light: Mid-century Modern Churches, Salt Lake Modern’s Tour of St. Mary’s, Salt Lake Modern’s Tour of Northcrest, Salt Lake Modern’s Tour of Olympus Cove, and the Depot District.